“It’s been too long,” Peppy Hare sighs. Star Fox Zero nonchalantly summons the same nostalgic pangs as when we first saw Han Solo and Chewie dash aboard the Millennium Falcon in Star Wars: The Force Awakens. But, by comparison, this time that emotion is prompted by an unquestionably loyal rabbit with a fondness for performing barrel rolls. It has been five years since the Star Fox team last checked their G-Diffusers, and even longer if you choose to dismiss the Star Fox 64 3D remake on Nintendo 3DS. It was therefore understandable that fans were excited when Nintendo revealed that Fox McCloud and his animal companions were hopping back into their Arwings in the E3 2014 Nintendo Digital Event, a feeling that had only escalated when it emerged that PlatinumGames had been recruited to lend a hand with the Wii U exclusive’s development. Shigeru Miyamoto has spoken openly about how it had been seen as “a good opportunity to go back to the roots of Star Fox,” and therefore the plot that drives the Main Game mode retreads a tale that is all too familiar. 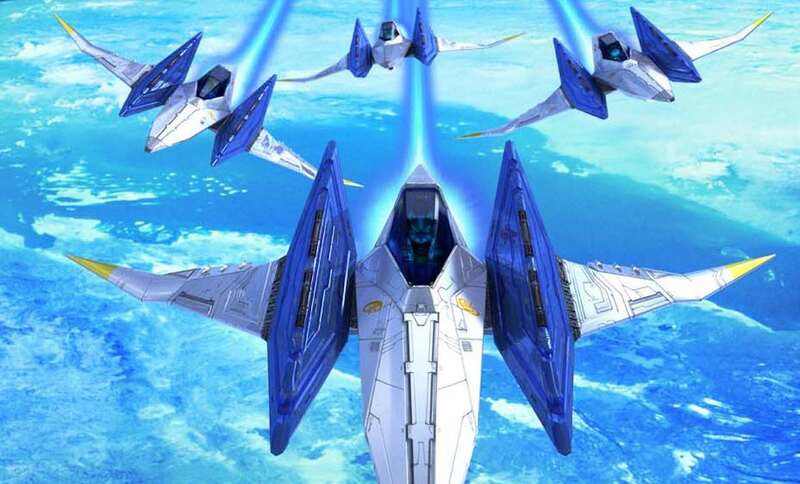 Given the relative dormancy that the series has suffered, it is perhaps understandable that Star Fox Zero looks to introduce the elite fighter squadron to a new generation. But, as with many others that have already successfully defended the Lylat system, I hadn’t expected Nintendo to so closely recount the narrative penned for Lylat Wars on Nintendo 64 – or Star Fox 64, for those in North America. Still, it is hard not to swoon at the sight of the Star Fox team orbiting high above Corneria’s atmosphere, their otherwise peaceful flight interrupted by an urgent message from General Pepper. Andross, a crazed scientist that was once banished to Venom, has unleashed a full-scale attack on the capital, and the Cornerian Army requests immediate assistance to fend off his robotic forces. Without hesitation, Star Fox somersault and rapidly soar downward to the planet’s surface which, beyond obliterating everything in their path, will eventually see them take their fight against Andross’ army to numerous planets and asteroid belts in the Lylat system. I can set aside my disappointment about the plot’s shortcomings, seeing as it largely serves as a vehicle for Nintendo to innovate around the Star Fox experience in other ways. That comes in the game’s control scheme, which sees the TV screen and Wii U GamePad show different views for the player to observe. One presents a more cinematic view with the camera positioned behind your vehicle, while the other places your viewpoint in the cockpit – the clear benefit being that you can fine-tune your aim to gun down enemies. Perhaps as someone that predominantly plays on Wii U and Nintendo 3DS, it didn’t take long to grasp their implementation. I would even go as far to say that my early concern was gone midway through my first playthrough, with the only remaining learning curve appearing whenever the game switches the player between which vehicle they are piloting. I can admit that it all feels unintuitive at first, but those that take time to learn the controls will soon discover that Star Fox Zero is as exhilarating as the series has ever been. That isn’t to say that it isn’t without complaint. While I would hate for Nintendo to shift away from the newfound precision-aiming that the Wii U GamePad allows, I have never had to recalibrate the reticle so often in any game that I have played on the console. That was of detriment to the experience, but not enough to otherwise derail my enthusiasm for the dogfighting spectacle – given the immediacy in that recalibration simply requires you to press the Y Button. However, Nintendo’s fondness for experimentation has come at a cost. The control scheme has proven widely divisive, one player easing into the experience without any trouble while another can never quite get the hang of it. It can certainly be seen as a barrier to entry, which comes as a surprise given that the company so readily aim to make sure that their software output is accessible to all. Co-op Mode goes to some length to address such concerns. This sees one player responsible for blasting foes with laser fire and potent Charge Shots, while the other is left to barrel roll and somersault out of harm’s way as the designated pilot. This is particularly enjoyable and de-stresses the experience, in that you aren’t having to switch your view between separate screens. But, as always, relies on the fact that you will have another player to enlist. The vehicles that you pilot are well-varied, which range from the standard Arwing that can now transform into a bipedal Walker, the Gyrowing that carries the computer hacking utility robot Direct-i, and the Landmaster, that later receives a hover upgrade to become the Gravmaster. It is the Walker that adds another layer of strategy, mainly in players choosing whether to blast bosses from afar or take a more direct approach in wandering around their innards to target their power core. More often than not this works well, and it is clear that Nintendo have had a lot of fun in revisiting the idea – which was first considered in the abandoned Star Fox 2. But, there is some inconsistency with how the Walker handles, particularly in relation to hovering that can directly impact camera control. If there is one area that Star Fox Zero doesn’t fall short, it is in content. You can see the Main Game mode through to its dramatic conclusion in a matter of hours, but choosing to decry that ignores what awaits you beyond completion. Players can return to completed stages to discover hidden pathways that open up new routes, while five Medals await collection per stage as long as players achieve specific criteria for each. Beyond that there are other modes to delve into, such as the “route-focused” Arcade Mode and Sound Test. amiibo support is fairly light, in that scanning the Fox amiibo will see you unlock the polygonal Retro Arwings seen in Starwing (or Star Fox) on the Nintendo Entertainment System. While the Falco amiibo will let you use the Black Arwing, which can lock on to two targets at once but takes twice as much damage when hit. Standing back and looking at the wider picture, Star Fox Zero succeeds far more than it falters. There are some terrific set pieces, the new Cockpit View lends more precision in taking down enemies for those chasing high scores, and the Star Wolf team are at last given chance to pose a menacing threat. The controls will be remembered as being divisive, but, for those that persevere, will soon marvel in this space shooter’s spectacle.